Emilio De Jesus Lezcano does what most boys dream about when they grow up; races fast cars, interviews sports legends and plays percussion all over the world. And, he gets paid for it! Born in Cuba, Emilio began his career at Press Wireless of Cuba/INS/UP as the youngest Morse code operator on the island. The experience inspired him to study Journalism at the University of Havana where he later earned a BS degree in Communications. Emilio followed his dreams to Miami, Florida, where he worked as a sports director and later General Manager for WRHC AM 1550. It was here where Emilio fell in love with auto sports and made his impact on the racing world. His radio coverage of IndyCar, Indy 500, Formula One and NASCAR races also lead to other types of media coverage. He wrote articles for a number of Spanish-language publications and earned a reputation as one of the most knowledgeable Journalists in auto racing. In the 1980’s, Emilio met Skip Barber who invited him to attend his racing school in Moroso, in West Palm Beach, Florida. Emilio became hooked on auto racing and a permanent fixture in the Skip Barber Race Series, the launching pad for many of today’s professional drivers. The combination of reporting and racing cars expanded his career into testing and evaluating manufacturer’s vehicles. Not only could he drive the car, but he could also render an authoritative critique on the car’s performance in respective Journalistic style. Meeting his first (of many) driving celebrities, Emilio was presented with the “Journalist of the Year” award in 1987 by Emerson Fittipaldi, IndyCar, Indy 500 and Formula One World Champion. Then in 1989, Emilio won first place driving in the Vintage Category of the Grand Prix of Miami. 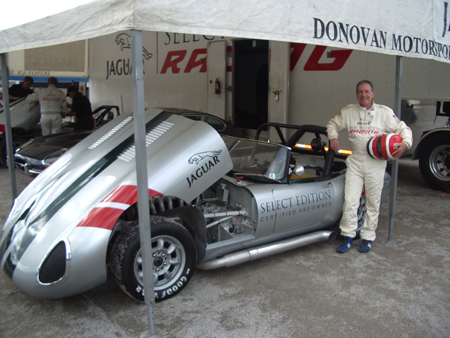 He won racing a 1960 MK-II Jaguar. In 2002, Emilio entered his first professional car rally as a driver of the Hyundai Rally Team USA. He placed third in the Production Category in the SCCA Pro-Rally in Ojibwe, Minnesota. It was actually auto racing that lead Emilio into professional travel writing (his second love to sports writing). Inspired by the places where he traveled to test and evaluate cars. Emilio wrote travel articles on the great destinations he visited in the US and abroad. In 1996 he became a regular contributor to several leading US Spanish-language publications, including The Miami Herald/El Nuevo Herald, Miami, FL; El Diario/La Prensa, New York, NY; and El Nuevo Dia, San Juan, Puerto Rico. Earning a reputation in the travel industry as well as the auto world. 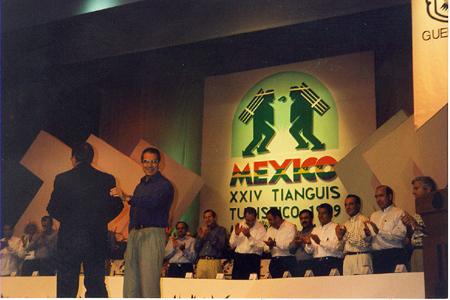 Emilio was awarded “La Pluma de Plata” (Silver Pen award) by Mexican President Dr. Ernesto Zedillo Ponce de Leon in Acapulco in 1999. During his career travels Emilio also developed his third great love – music. He plays various percussion instruments including the tumbadoras, batá, bongos, claves, cencerros, ekón and the güiro. 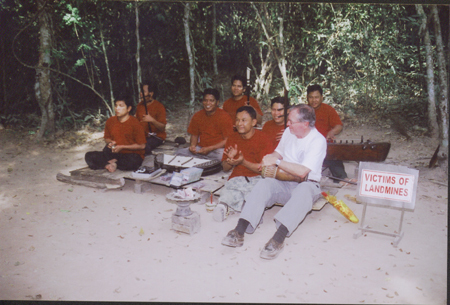 When traveling he is often invited by local musicians to join them as part of the evening’s entertainment. He easily blend his Caribbean Afro-Cuban Jazz style with any music, whether he’s in Bedouin camp in the Middle East, in the jungles of the Amazon or with the Garifunas in Central America. Today, Emilio divides his work between travel writing, test-driving race cars, writing about the racing and automobile industry and playing percussion all around the world. He truly is living every little boy’s dream.